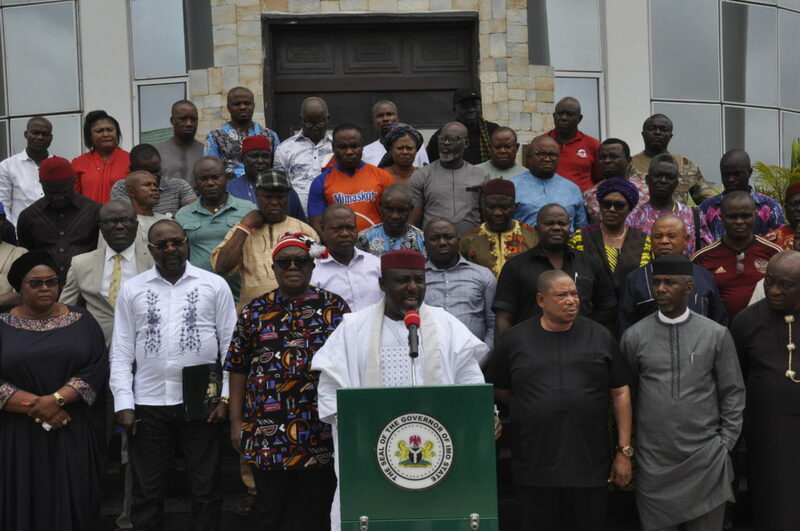 You are here: Home › ALL BLOGS › Okorocha places N20m reward for information on killers of slain APC Chieftain. ← Newly elected IMO APC LGA Chairman assassinated. Okorocha places N20m reward for information on killers of slain APC Chieftain. Okoocha said this Friday morning, hours after Mr Sunny Ejiagwu, the APC chairman in Ideato North Local Government Area, was gunned down by hired assassins. Mr Ejiagwu was murdered along the Orlu-Akokwa Road on his way home after attending a meeting at the APC Secretariat in Owerri, the state capital. His tragic demise comes four days after he was elected as the APC Chairman in the LGA. 8 Responses to "Okorocha places N20m reward for information on killers of slain APC Chieftain." Senseless talk, how old are you and how much of Igbo history do you know? @Zaco And his son-inlaw was also crowned something whatever not long ego in the north. If Imolites allow him get into Douglas house, then you will see him bring out his true colour of a conquered Igbo man as well.